Stuck In The Buckosphere: Funnel? Tornado? Scud? A few thunderstorms tonight remained below severe criteria for many and low and behold... Newsroom goes crazy when reports of a funnel cloud in Pickaway County keeps coming over the police scanners. Lots of viewers were snapping photos and there were some impressive pics. The one above even has a questionable light spot near the surface. She said that some of the dust started to swirl near the surface. I talked with the National Weather Service because we were all looking at the same radar data. There was no impressive rotation on the radar to indicated a strong storm or a storm that could sustain a funnel or tornado. It was likely a very weak funnel or a cold air funnel. 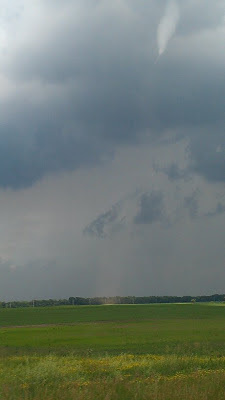 These are very weak rotating columns of air that are not necessarily associated with the storm's energy feed, or updraft. 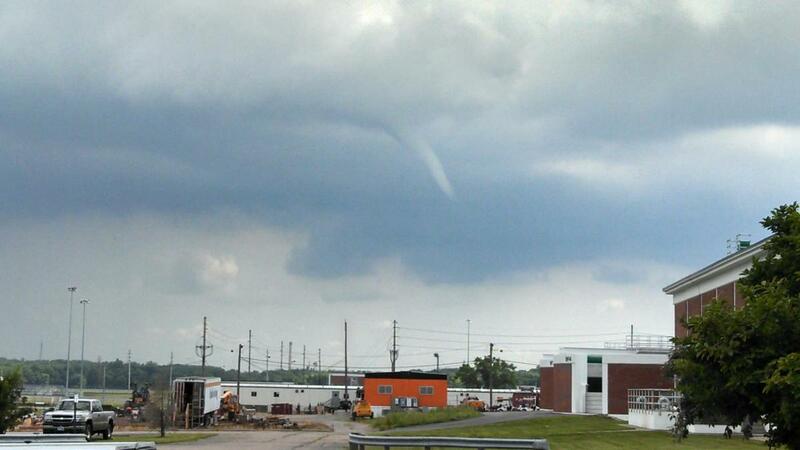 So yes, a funnel, but no confirmation of a touchdown... (tornado). There is no chance for severe weather for the next few days in Central Ohio. The cold front has pushed through this evening bringing lower humidity and cooler temps. It will feel fantastic tomorrow! Plenty of sun for the rest of the workweek. Friday is the first day of summer and it will be bringing the warmest days of the year heading into the weekend. Highs pushing 90 through the weekend and early next week. With temperatures getting so warm and the humidity returning, there is a chance for pop-up showers and storms everyday starting with Saturday. Good Ole Summer is coming with a vengeance. So enjoy the next few days and have a good one!